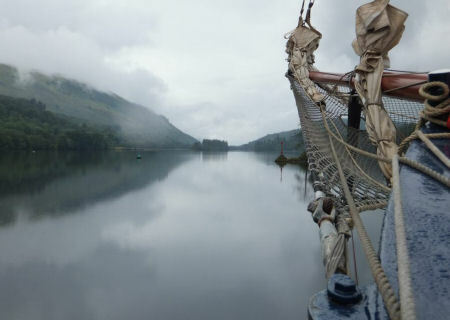 Scotland sailing: discover the West Coast with Tall Ship the Flying Dutchman. 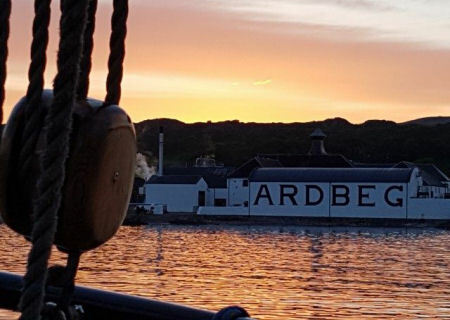 This sailing trip will take you to the beautiful scenery of the English and Scottish east coast we visit picturesque fishermen’s villages like Whitby and Stonehaven. 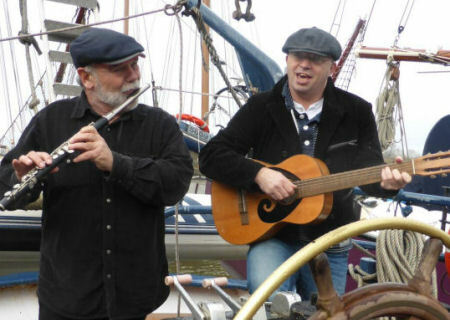 This beautiful sailing trip goes to the Orkney Islands, Harris & Lewis, Skye, Mull and finally ends in Oban. It will be a very exciting journey where we will see fascinating landscapes . 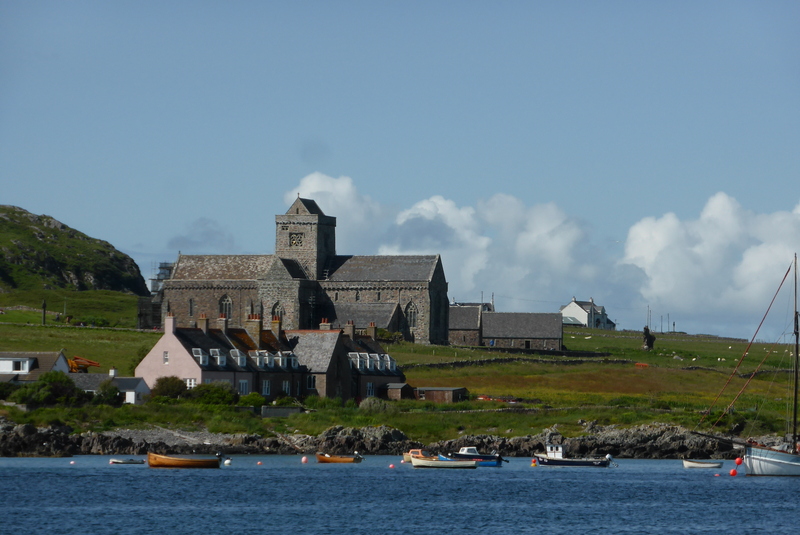 A relaxing sailing trip along the Scottish west coast and the inner Hebrides. 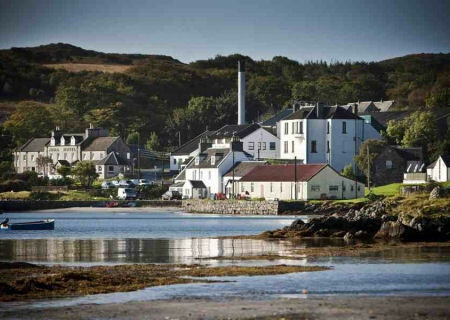 We visit the most famous whiskey distillery’s in Mull, Jura and Islay. We make a splendid music and whiskey trip. 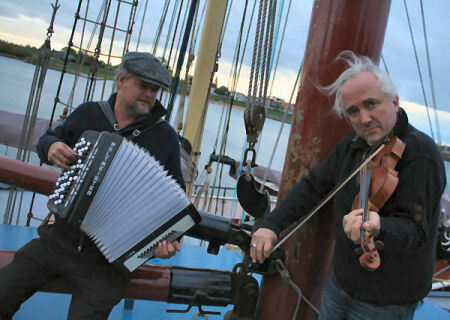 This trip is a combination of sailing, making music and visiting famous whiskey distilleries. Islay Whiskey Festival: It’s an unique way to visit the largest whiskey producing island of Scotland with his 9 distilleries. The first time mountain biking is combined with a Tall Ship in Scotland. It’s unique activity, transport and accommodation ,combined. 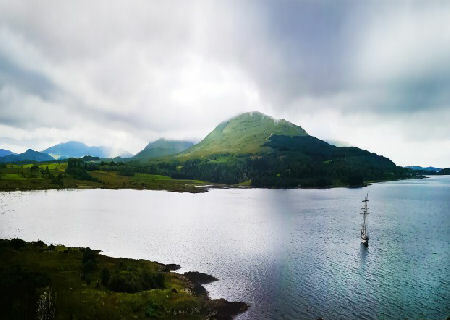 Sailing trip Skye / Hebrides: If there is still untouched nature somewhere in Europe, it certainly applies to the islands of the Scottish west coast: the inner and outer Hebrides. 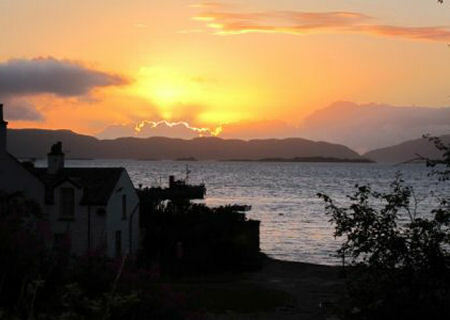 Along the Scottish west coast and the inner Hebrides. Breathtaking landscapes, historical castles, abbeys and wild sea life are there to discover. We sail to the Small Islands (Muck-Rum-Egg) and Skye. On the way we have good chances to see dolphins and whale sharks. 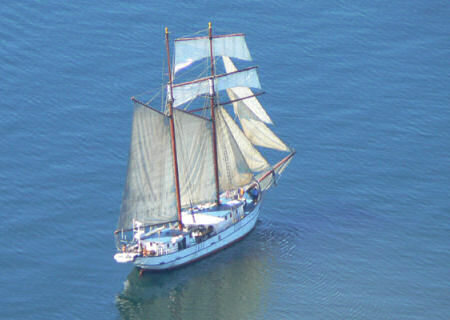 We will take you on a relaxing sailing trip along the Scottish west coast and the inner Hebrides. Breathtaking landscapes, historical castles and abbeys, as well sea life and seabirds are there to discover. 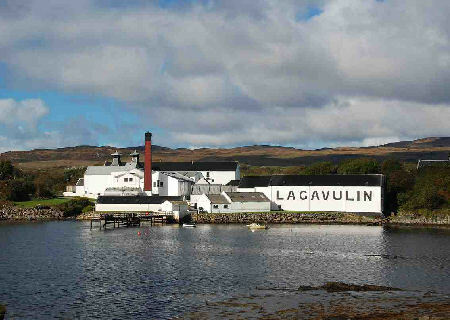 A journey to Islay, the ultimate whiskey paradise with its 9 distilleries. 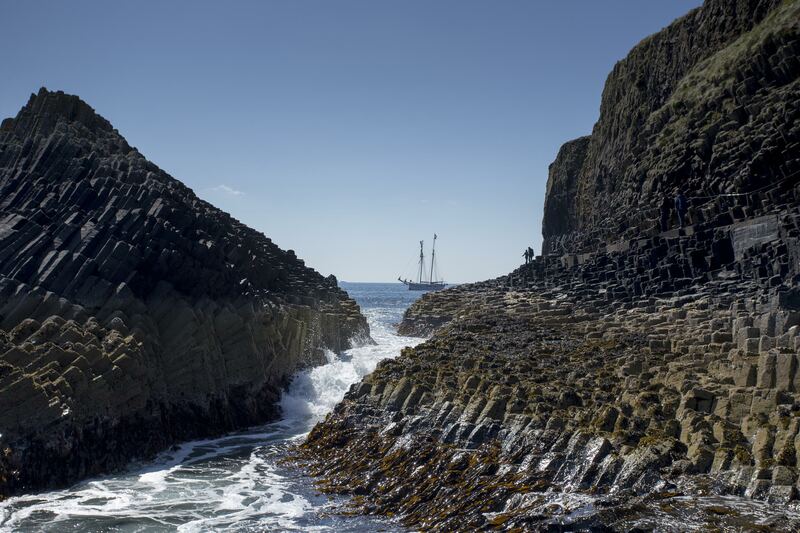 Islay has more to offer, a unique nature and beautiful bays and beaches. 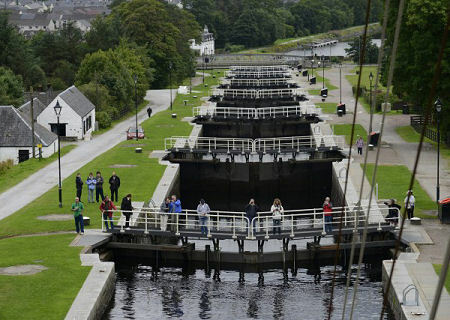 A beautiful trip through the Caledonia Canal, that connects the North Sea with the Atlantic Ocean. It is one of the most beautiful waterways in the world. 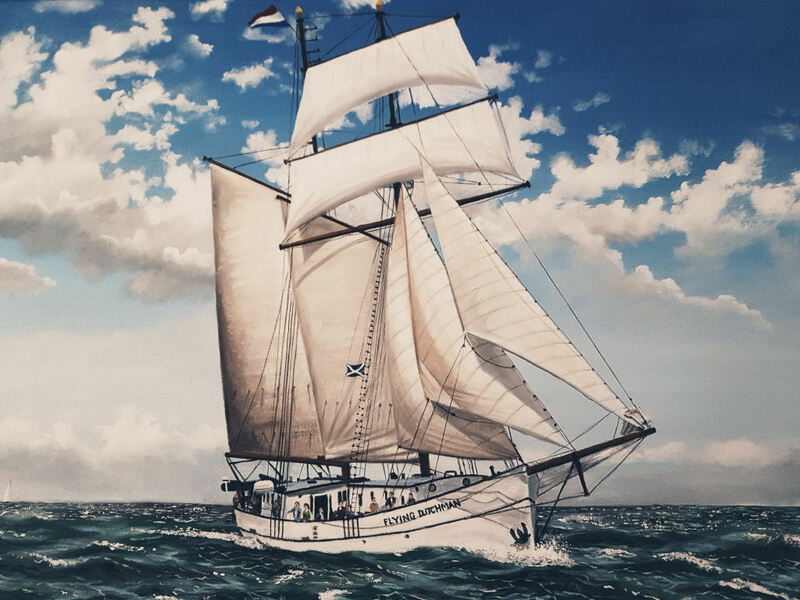 Adventurous and beautiful trip from Inverness to Amsterdam, a journey of almost 500 nautical miles. 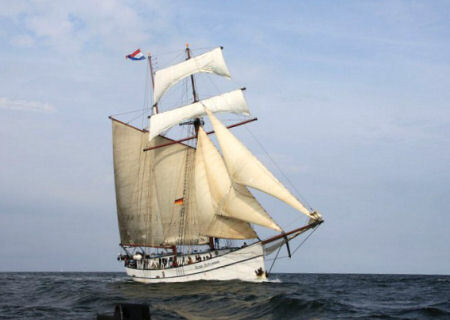 We will learn you everything there is about the ship, sailing and navigation.